In theory, Google Ads (Adwords) is there to serve the advertisers who put budget into making their products & services visible online. But it’s limited in many ways that are detrimental to the advertisers and beneficial to Google. There are many types of website visitors that you don’t want to be either seeing or clicking on your Google Ads. Google gives you a tool that lets you paste in IP addresses (including some IP address ranges) that you don’t want to be seeing your adverts. It allows you to insert up to 500 rows. Each row could be one IP address (e.g. 194.82.210.247), but would ideally be an IP range that includes many IP addresses (e.g. 194.82.210.*). Is 500 rows of IP exclusions enough? No – it doesn’t even scratch the surface of what’s needed. It’s better than nothing, and can save you lots of wasted Google Ads clicks and should certainly be utilised … but it’s tiny in comparison to what you need. See in particular our page How to use IP exclusions to stop Google Ads clicks from within the Education sector to see why. Why don’t Google allow you more IP exclusions? Quite simply: because they would lose huge amounts of revenue if you were allowed to easily exclude a lot more of the IP addresses that you don’t want seeing your adverts. Why don’t Google make the IP exclusions more flexible? Google will let you exclude an IP address or, to a certain extent, an IP range. Instead it makes you split those out to individual rows, eating into a huge amount more of your 500 rows limitation. If Google were an ethical business, they would respect the budgets of their Google Ads advertisers. Set up their Google Ads. See a list of ‘industry types’ (e.g. Education, Recruitment, Engineering). Allow people to tick/untick those boxes to exclude their adverts from being visible to people from within those industries. So, if a business didn’t want students seeing and clicking on their adverts, they could automatically exclude visibility to anyone within the education sector by ticking/unticking ‘Education’. Alternatively, Google could allow advertisers to have a larger number of IP exclusions rows or allow the use of more wildcards on bigger IP ranges. It’s not a technical limitation. Google knows precisely who each visitor is to their search engine. They know the IP addresses, and if they know those, then they know the industries linked to those IP addresses (in most cases). The same applies to other industries. So why doesn’t Google make it possible for people to exclude certain types of searchers from seeing the Google Ads of their advertisers? Google wouldn’t utilise that information for the benefit of advertisers, because it would lose them $Billions in revenue if advertisers had the choice of only being visible in front of industries of interest to them. Instead, they offer the paltry limit of 500 rows worth of IP address exclusions, and even then, make it hard to exclude large ranges (particularly those within the education sector). Within Google Ads settings you can choose to stop your adverts showing within certain postcode areas. That sounds OK until you realise it’s just the broad postcode level. So, if an advertiser wanted to stop people from the University of Kent from seeing their Google Ads, they couldn’t select just that postcode CT2 7NZ. Instead they are limited to the broader exclusion covering the whole of CT2, which would mean numerous potential buyers wouldn’t see the adverts in that CT2 postcode area. 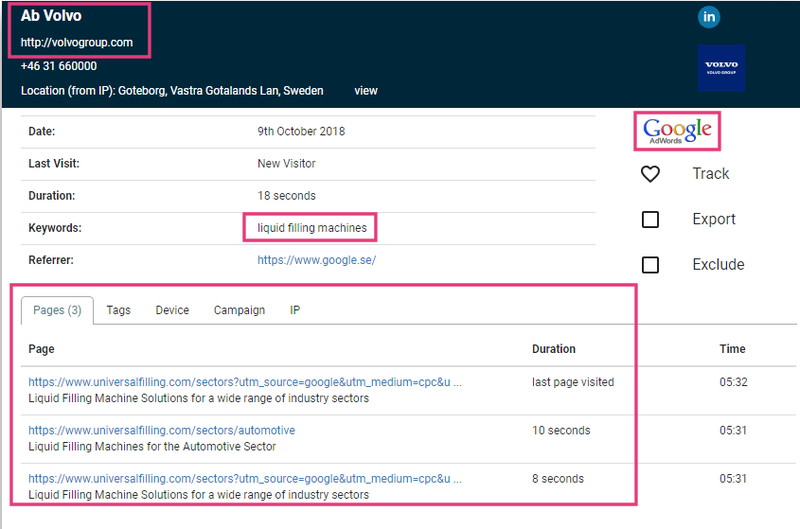 Once again, Google have no excuses – their tech could easily allow stopping Google Ads visibility to people in specific postcodes, but it chooses not to because that would give advertisers too much power that would damage the revenues of Google. Extremely limited though it is, 500 rows of IP exclusions is better than nothing IF it’s utilised to maximise the small allowance.